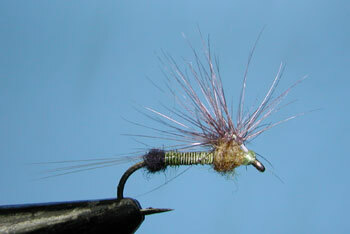 Notes: The Hackle Stacker is a mayfly emerger pattern. 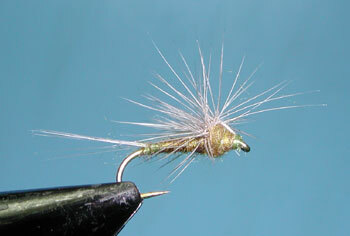 It utilizes a paraloop method of wrapping hackles around a looped monofilament and bringing the monofilament over a dubbed thorax to a tie-off location just behind the eye. 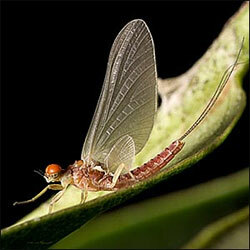 The result is a group of hackles residing upon the top of the thorax keeping the hackles well above the hook shank. 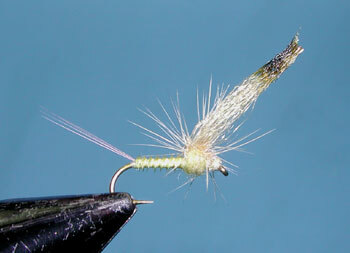 This allows the fly to submerge itself well into the surface film and results in better hook-ups due to the hook placement being lower in the water. 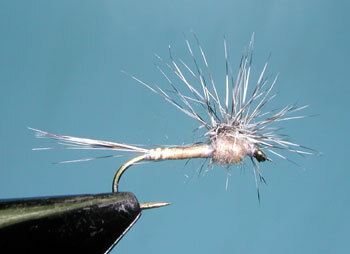 Bob Quigley is often cited as the developer of this fly although the technique can also be attributed to Jim Cramer and the late Ned Long, who used it as well. 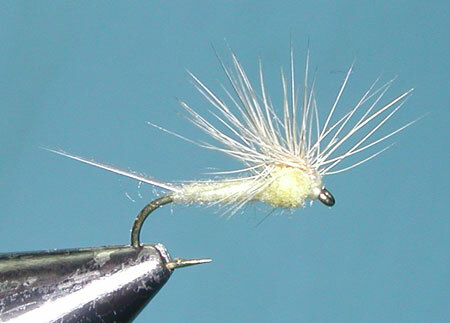 Often, many will fish this pattern behind a hi-vis dun using the dun as an indicator.